Whether you’re looking at an empty lot where you plan to build your first home, or a hand-me-down old farmhouse without any functional bathrooms. We know that no job is unimportant when it comes to the customer’s vision. Whatever the customer pictures their home to look like is what we specialize in. 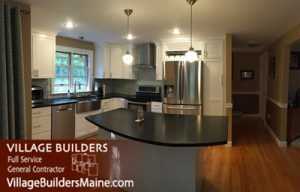 Each project that we commit to we view as a partnership, we want to work with our customers to give them not only exactly what they’re picturing, but give them a memorable experience from the first estimate to the finished product. 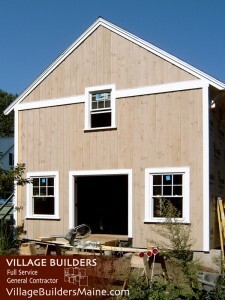 May your project be re-siding an old barn or updating your kitchen, we are the best choice for great customer service and excellent carpentry. We are a small company with roughly ten employees and we believe that is one of our greatest assets. 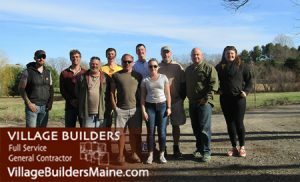 With each job that comes our way, our owner Dan Grant will be one of the first faces of Village Builders that you, as a customer will meet. You’ll speak with the lead carpenters directly about updates and changes. Anything that isn’t exactly how you want it will be addressed directly and promptly by our entire crew, from the people in the office to the people in the field. We’re always making strides to build real relationships with the people we work for and that shows in our work within the community. 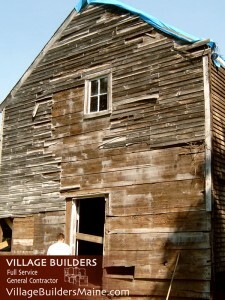 You wont find this kind of determination to work so closely with our community anywhere other than at Village Builders. Contact us for a consultation to get your project started!